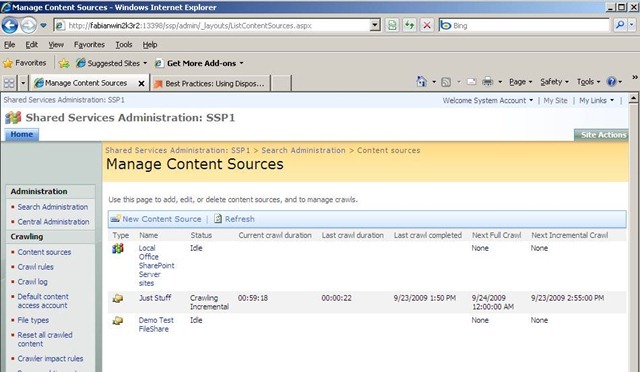 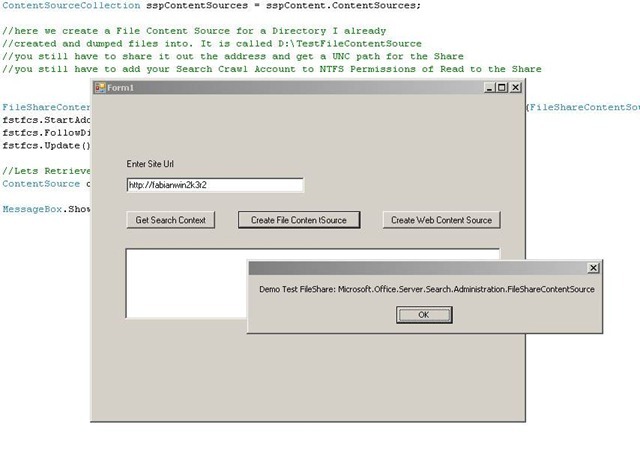 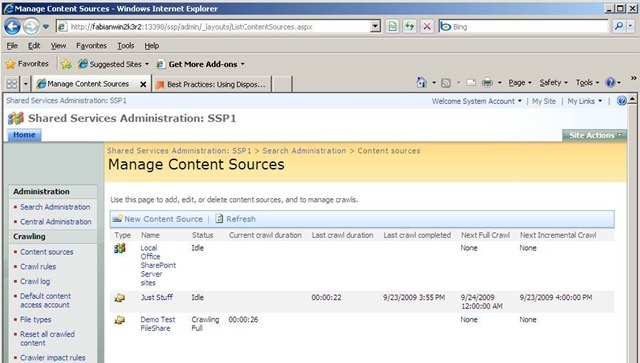 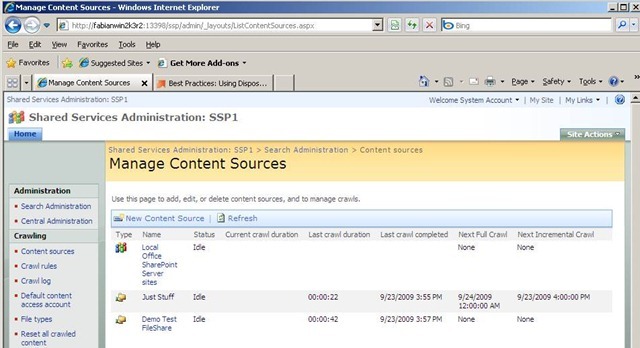 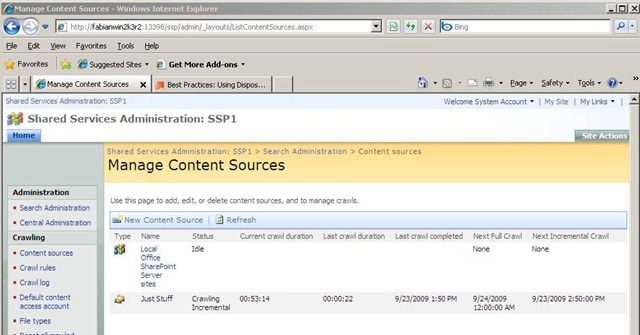 In this blog we will go about how to create a Content Source in the Shared Services Provider, we will create a File Share Content Source and a SSP Search Scope that may be consumed by Site Collection Administrators. 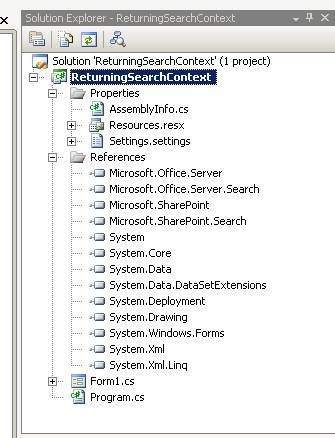 Once we complete that we will take a look into how one could enhance their search experience by a using the MOSS Object Model and Search Objects to further customize that experience. 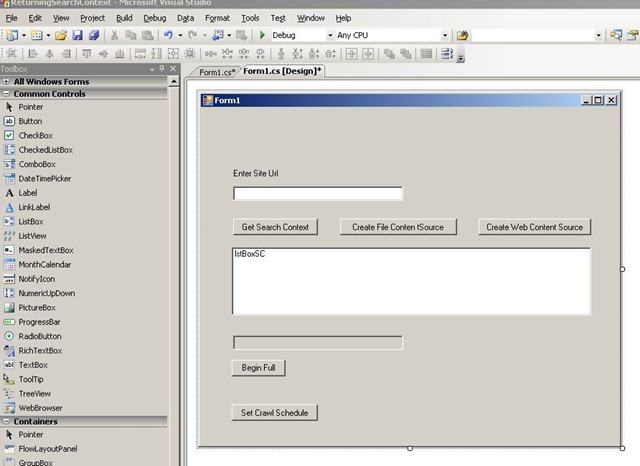 This will be a 5 Part Series and this Part 2 will cover how to Code what we did through the Central Administration in Part 1. 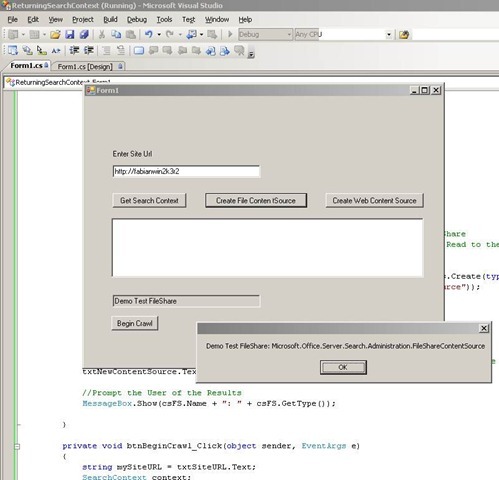 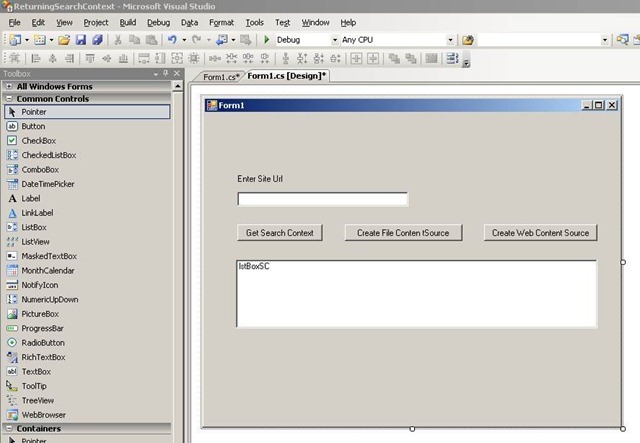 So we will begin by creating the Content Source, create a Crawl Plan for Full and Incremental Crawl and to test this we will create a Windows Forms Application in C# to walk through the process. 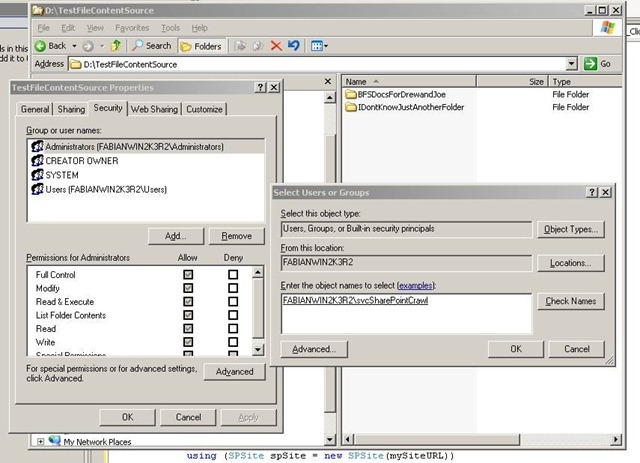 Sit back have fun..
References Added in my Windows Project. 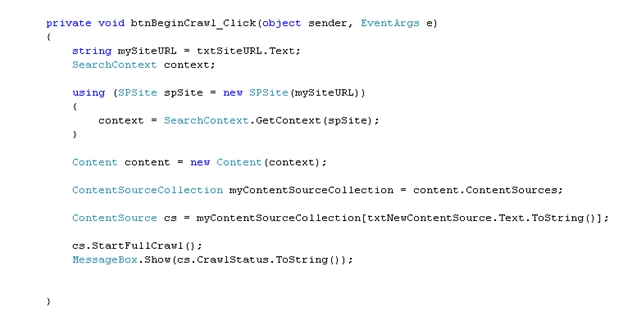 Step 10: Code used to create the Crawl Schedule. 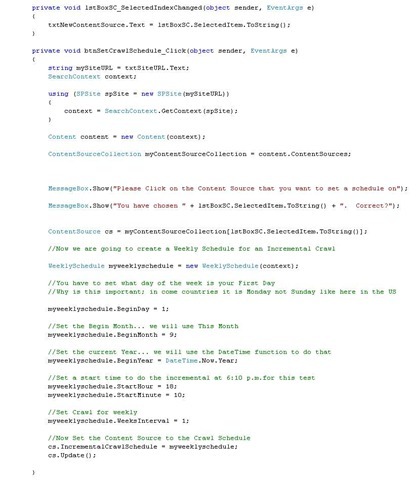 Things to point out as you will see when the crawl schedule is created is i indicated that the beginning of the week is Monday. 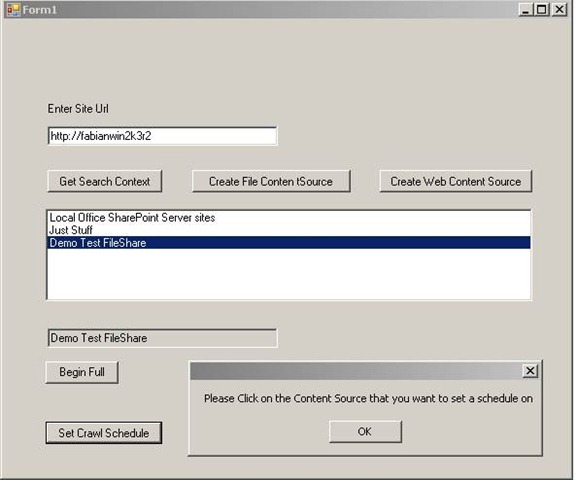 Since today is Wednesday, the next Incremental crawl will not be till next Monday.